It might not be clear from a glance, but there are a lot of underlying protocols and processes happening in the background for your computer to do even basic tasks. One important component of accessing websites is DNS, which stands for Domain Name System. Essentially, DNS translates web addresses that are easy for humans to remember (e.g. www.wikipedia.org) to IP addresses that browsers can use to access sites (e.g. 208.80.154.224 is an IP address owned by Wikipedia). It’s important to note that DNS is not handled by one system. In a corporate environment, it might be handled by a firewall or server, while at home it’s probably handled by your ISP. However, you can change your DNS settings to whatever you like. 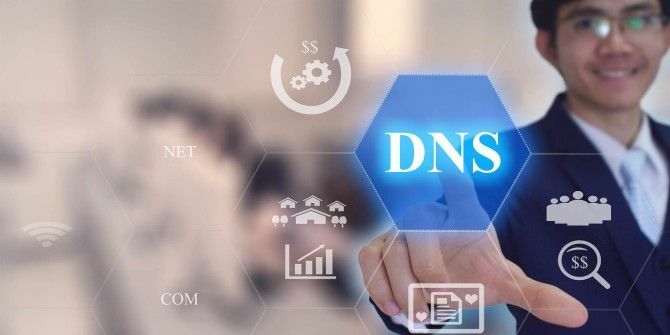 This could benefit you with increased stability, performance, and/or security if your current DNS setup isn’t up to snuff. In Windows, this is accomplished by first typing Network into the Start Menu to access the Network and Sharing Center. Next, click on the name of your network near the top-right by Connections: and choose Properties in the resulting window. To access your DNS settings, you’ll need to double-click on Internet Protocol Version 4. If IPv6 is enabled, make the same changes on that entry, too. At the bottom of the IPv4 or IPv6 IPv4 Addresses Have Run Out: Here's How It Affects You IPv4 Addresses Have Run Out: Here's How It Affects You We're out of IPv4 addresses yet we aren't adopting IPv6. What's the problem? How can we speed everything along? But most importantly, why does it even matter? Read More window, you’ll probably have Obtain DNS server address automatically checked. Go ahead and select Use the following DNS server addresses: to choose your own. Google DNS — 8.8.8.8 for primary, 8.8.4.4 for secondary. OpenDNS — 208.67.220.220 primary, 208.67.222.222 secondary. Depending on where you live, changing your DNS server could also allow you to access region-restricted content How To Bypass Internet Censorship How To Bypass Internet Censorship This article examines some of the most common methods used to filter content as well as emerging trends. Read More . Try it out and see what you think! Are you running with automatic DNS settings, or did you pick an alternate address? Let us know if this helped you in the comments! Explore more about: DNS, Troubleshooting, Windows 10. As I see it, changing the DNS server in either the OS or the router, doesn't do any good. The modem (or whatever the interface device happens to be called) supplied by your ISP will still route to the DNS server designated by the ISP. if you wish to avail yourself of these techniques, anyway. to alter your DNS settings . . .
As I see it, changing the DNS server in either the OS or in the router really doesn't change anything. The modem supplied by your ISP is still going to send to the DNS designated by the ISP. Perhaps better to tell people to change their DNS settings on their home router instead and leave it up to DHCP to set an alternative DNS server address in Wndows. If they start doing this on their work laptops and they have lazy sysadmins (local admin access) they'll find that after changing their DNS settings they can't log in to the domain when they go to the office and may in fact struggle on some WiFi networks that impose use of their DNS servers by blocking all others.